This is the procedure of making teeth whiter, and therefore more attractive. 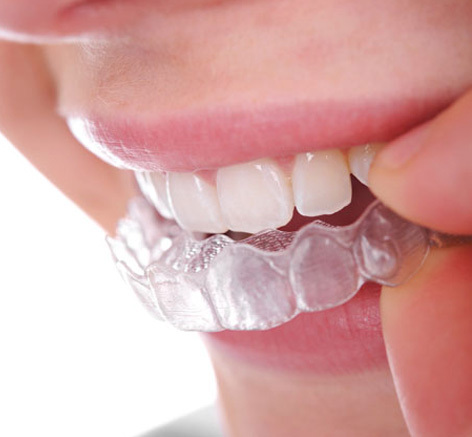 The most popular method of whitening includes custom-made trays that are taken home. The tray method involves having impressions taken from which fabricated custom vinyl trays are made. A carbamide peroxide gel is placed in these trays and the trays with gel are worn, depending on concentration, for about 35 minutes or overnight. The entire process takes 3-4 weeks of daily use. Three different strengths of gel may be used, however the higher the strength the greater the likelihood of reactions or tooth sensitivity. The tray method is recommended for badly stained teeth, such as tetracycline staining, and it may take several months of use to see significant color improvement. 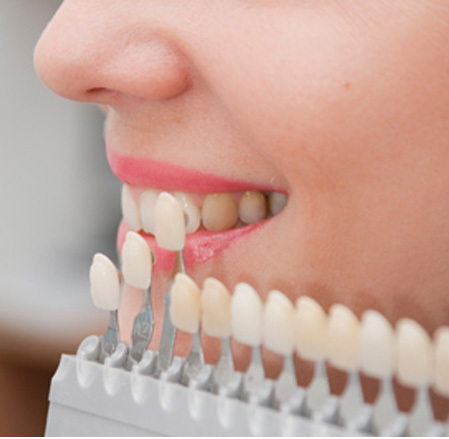 For maintenance of whitened teeth the trays should be used every several months. The end results whether using trays at home or in-office lasers is the same. The cost of the tray method is about half or more compared to lasers, such as Zoom!, and there is usually less post-treatment sensitivity. The indirect technique, including crowns, usually involves two appointments because the veneers and/or crowns will be fabricated at a dental laboratory. At the first appointment the teeth are prepared, impressions taken, and the teeth are given a temporary covering. In two to three weeks the veneers and/or crowns are back from the laboratory, the temporaries are removed, and the veneers and/or crowns are bonded to the teeth.